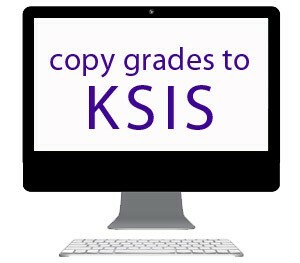 Instructors can copy their final grades from K-State Online to KSIS with the Copy Grades to KSIS tool located in the left-hand navigation of each course in K-State Online. For step-by-step instructions, see Copy Final Grades from K-State Online to KSIS. After you have copied your grades to KSIS, a “Success” screen will direct you to KSIS to approve your grades. Grades must be approved in KSIS in order to be posted to the student’s academic history. See Enter and Approve Final Grades for more information. To learn more about the final grade submission deadlines, view the KSIS Final Grade Submission Information webpage.